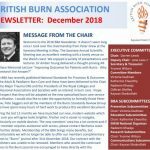 The BBA is a non-profit making charity for people interested in supporting and promoting burn care in the UK and Ireland, for the benefit of the general public. Its core aims are to educate and to encourage research into all aspects of burn injury, its treatment and prevention. The Association hosts educational events, instructional courses and an annual scientific conference at venues around the country. It also provides a voice for members working in all areas of burn care. This course is for Military candidates only. For further details and to book onto an EMSB course.